EMS: More Than a Job. It’s a Calling. As we close this year’s National Emergency Medical Services (EMS) week, DEM wants to highlight the recipients of the 14th Annual EMS Agency and SF Paramedic Association Award Program. Aligning with this year’s National EMS Week theme, EMS: more than a job. It’s a calling, the recipients of this year’s EMS Awards were honored for their dedication and commitment to the field of emergency medical services and those they aid. 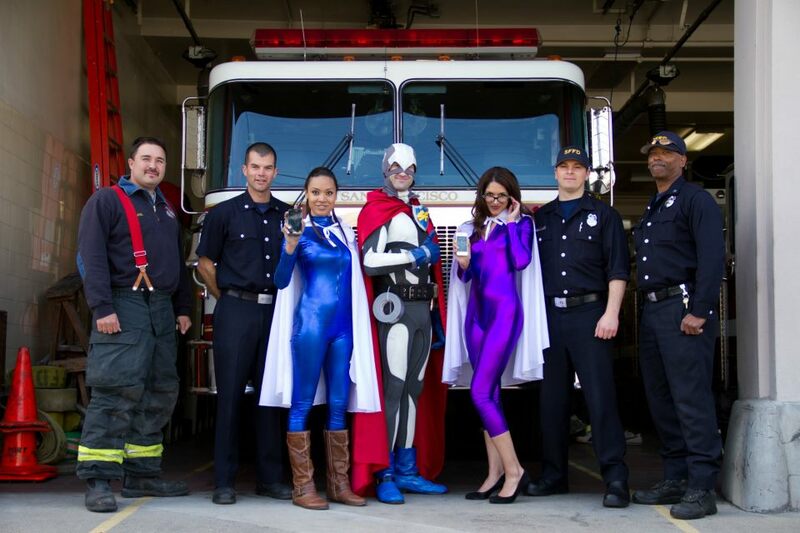 They are SF Heroes and we are happy to recognize them in this DEM Blog. EMS Field Providers Award Firefighter Anthony Valerio, EMT-P and Lt. Vincent Perez, EMT-1 received these awards posthumously for many years of outstanding performance as a paramedic, as an EMT and for extraordinary bravery as firefighters in the San Francisco Fire Department. On June 2, 2012, Anthony and Vincent lost their lives in the line of duty fighting a fire in Diamond Heights. The parents of Anthony Valerio accepting his award. 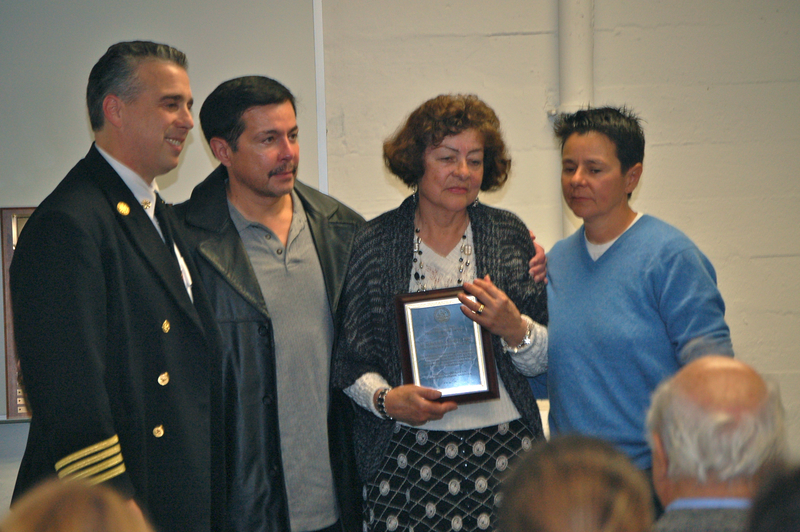 Lt. Vincent Perez’s family accepting his award. EMS Hospital Provider Award Terry Dentoni, RN, MSN with San Francisco General Hospital received this award for outstanding performance in providing more than 25 years of emergency and critical care nursing at SF General Hospital, and for creative and energetic support of satellite sobering centers at special events. 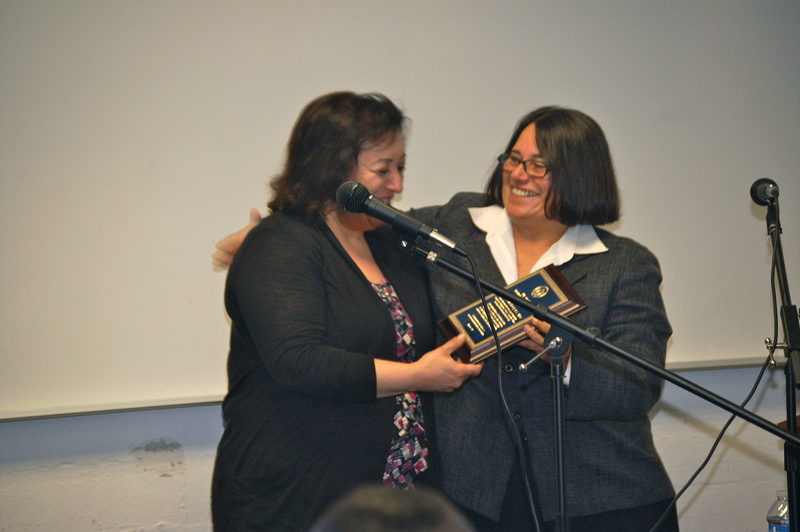 Terry Dentoni (left) accepting her award from San Francisco Department of Public Health Director Barbara Garcia. EMS Community Services Award was given to Elaine Rodahl, RN for her leadership in promoting and teaching CPR to thousands of people, and for her tireless work with the American Heart Association to improve the survival rate from cardiac arrest in the Bay Area. 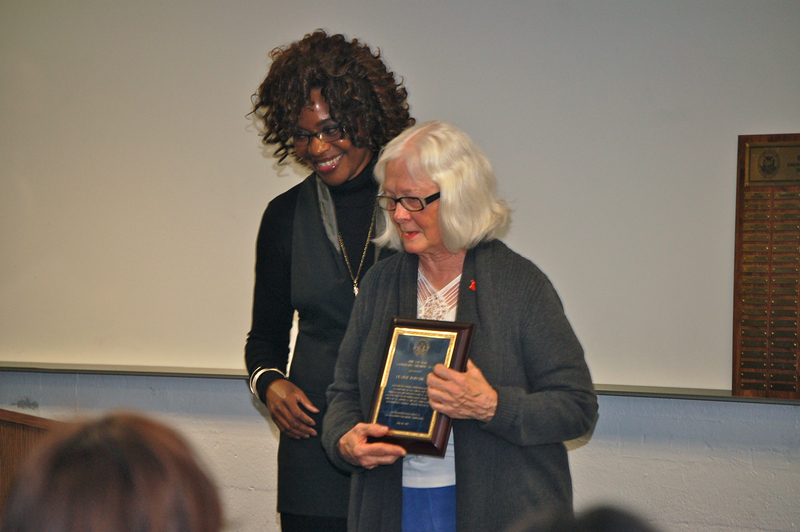 Elaine Rodahl accepting her award. EMS Dispatcher Ulysses J. Levy, EMD received this award his 18 years of outstanding performance as a dispatcher, especially for his extraordinary skill in handling stressful medical calls in a calm and professional manner, as he did in November, 2011 when he assisted a father in the delivery of his baby. The family Ulysses helped was in attendance to the surprise of Ulysses, as was the paramedic who arrived on-scene to provide emergency medical care to the mother and newborn. EMS Dispatcher Ulysses J. 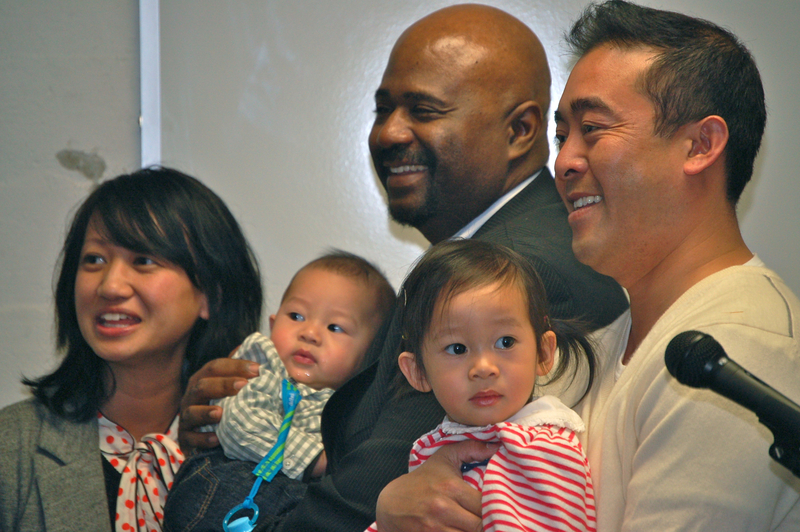 Levy holding the infant he assisted to deliver. 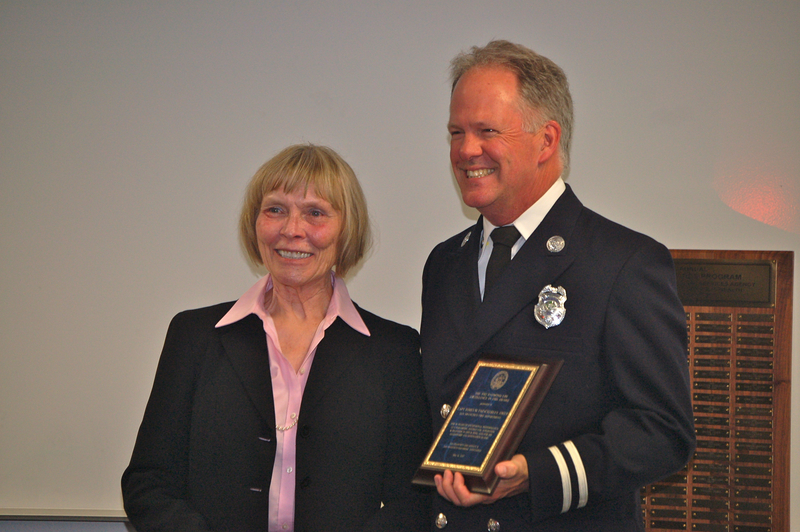 Paramedic Captain James M. Fazackerley, EMT-P, SFFD received the Raymond Lim Excellence in EMS for exceptional performance as a paramedic instructor, supervisor and manager for 29 years and for leadership and innovation in emergency medical services. 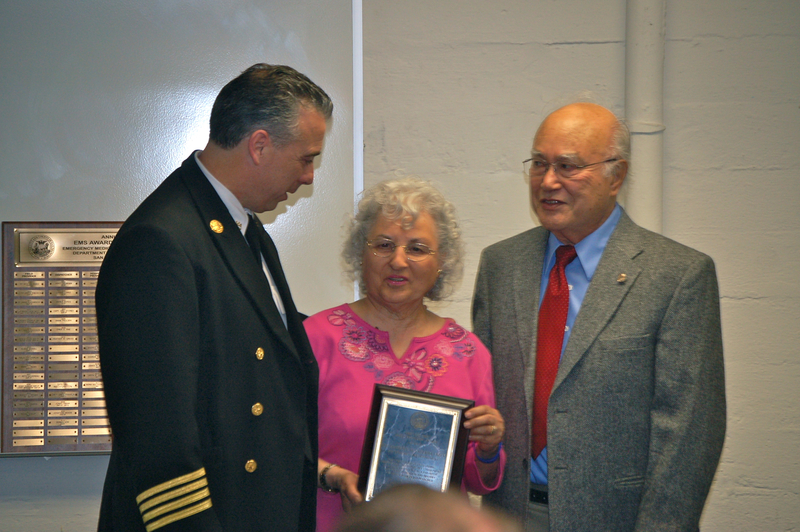 Captain James M. Fazackerley accepting his award. The Special Recognition Award went to Willie Orey, Jr, EMT-1, AMR posthumously for years of outstanding performance as a unit detailer, stocker and EMT, and for several years of service as a CCT-EMT for San Francisco Ambulance. 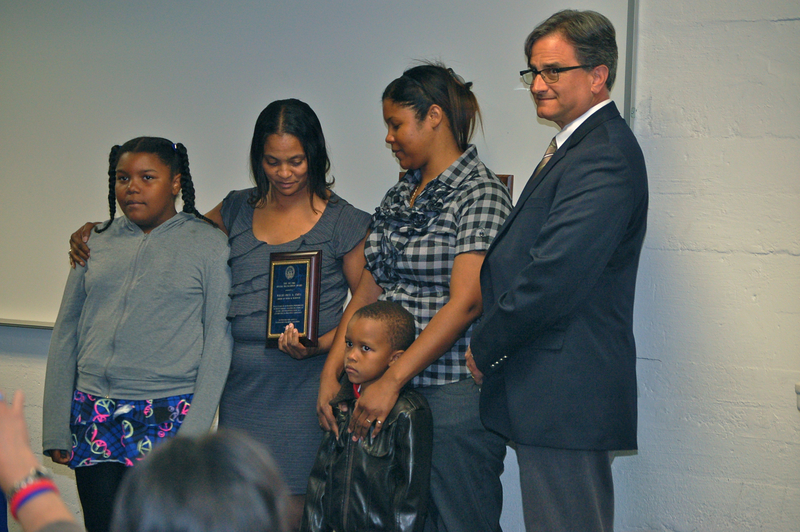 Willie Orey’s family accepting his award. Congratulations to all of the award recipients. You are the REAL San Francisco Heroes! 75th Anniversary of the Golden Gate Bridge and Golden Gate Festival This Sunday! In this week’s DEM Blog, we are sharing the message created by the Golden Gate Bridge Highway and Transportation District in honor of the 75th Anniversary of the Golden Gate Bridge. Meanwhile, DEM will be a part of the festivities by activating the City’s Emergency Operations Center to ensure coordination, communication and situational awareness, which is what we regularly do to support San Francisco’s cultural value to celebrate! Join the celebration of the year as the Golden Gate Bridge, Highway and Transportation District and the Golden Gate National Parks Conservancy—in cooperation with the National Park Service, the Presidio Trust, and the City and County of San Francisco—bring the world together to commemorate the 75th Anniversary of the Golden Gate Bridge. The Bridge’s official 75th birthday celebration will be held on Sunday, May 27, 2012 starting at 11:00 AM. 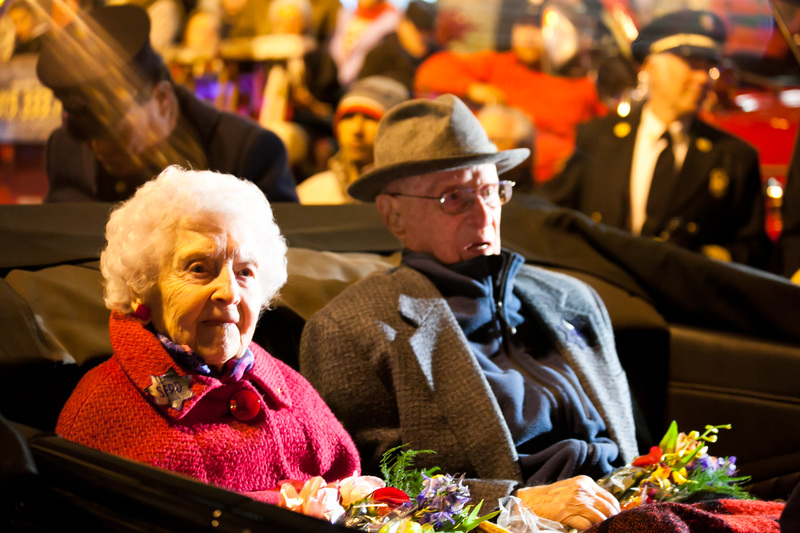 Recalling the historic Golden Gate Fiesta of 1937, the Golden Gate Festival will celebrate the iconic international landmark through music, art, dance, historical exhibits, a display of cars from 1937 to the present, and a classic watercraft parade. Stretching from Fort Point to Pier 39, free public events will be held throughout the day along the San Francisco waterfront, with major programs at Crissy Field and the Marina Green. 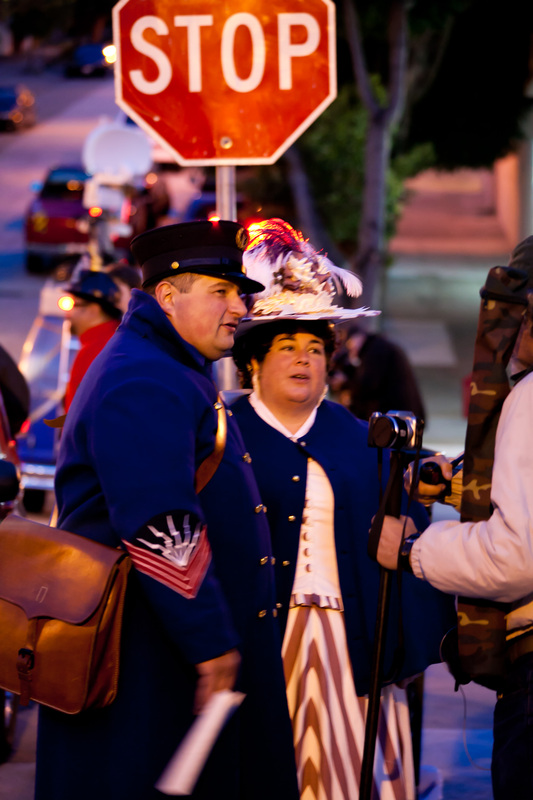 Additional activities and events will be held at the Presidio, Fort Mason Center, Ghirardelli Square, San Francisco Maritime National Historical Park, Fisherman’s Wharf, and Pier 39. • There will be No Bridge Walk. • Please walk, bike, or use public transit to get to the festival. Bike racks will be available onsite. • No public parking will be available in the Presidio, Crissy Field, or Marina Green. • ADA parking will remain open on a first-come, first-served basis. • No vehicular access through the Presidio. Transit, bicyclists, and pedestrians welcome. • Visitors should expect significant traffic delays throughout the day. • Golden Gate Bridge traffic will be interrupted during the fireworks show, scheduled to begin at 9:30 PM. • East and west pedestrian and bicycle sidewalks will be accessible during the day but will close at 6 PM. The sidewalks will reopen 10 PM–Midnight. • This is a No Alcohol event. • For transit details, visit 511.org or goldengatebridge75.org. 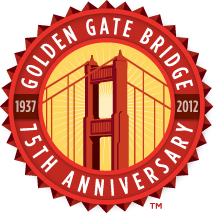 The Golden Gate Festival on Sunday, May 27, 2012 is the center point of the Bridge’s year-long 75th anniversary program. Coinciding with Memorial Day weekend, this event is sure to be popular—make sure to plan appropriately! No parking is available on festival grounds and parking nearby is extremely limited, so walking, biking, or taking public transportation are encouraged. Please do not drive to or near the event. You can find trip-planning help at 511.org, by calling 511 (711 for TDD), or on the Golden Gate Bridge Highway & Transportation District’s website. • Sunday, May 27, Golden Gate Festival, from Fort Point to Marina Green is expected to draw tens of thousands of people. There will also be celebration activities at Ghirardelli Square, Fisherman’s Wharf, and Pier 39. • Please do not drive into or within San Francisco on May 27, as the City is anticipating severe traffic congestion and potential gridlock. • TAKE PUBLIC TRANSIT, WALK, OR BIKE. Plan your route beforehand. • All parking in the event vicinity is CLOSED on May 27. • Golden Gate Festival starts at 11 am. • Fireworks start at approx. 9:30 pm along the waterfront from Fort Point to Marina Green, where visibility is optimum. • Fireworks ARE NOT VISIBLE from EAST of Marina Green including the area from Fisherman’s Wharf to The Embarcadero. The Presidio will be closed to through traffic from 9 am-Midnight. Gates will be open only to Presidio residents with access passes, pedestrians, bicyclists, transit, taxis, and shuttles. The Lombard/Marina gate will be closed to all private vehicles, including those with access passes. The Golden Gate Bridge will be closed from 9-10 pm for the fireworks show. Do not travel to the Bridge or use Bridge access roads at that time. Consider using the Richmond-San Rafael and Bay Bridges for alternate travel throughout the day. For more information, visit the Bridge district website. Bridge sidewalks will be closed at 6 pm and will reopen following the fireworks. Great news on the preparedness front: SF Heroes is now available on both iPhone and Android! 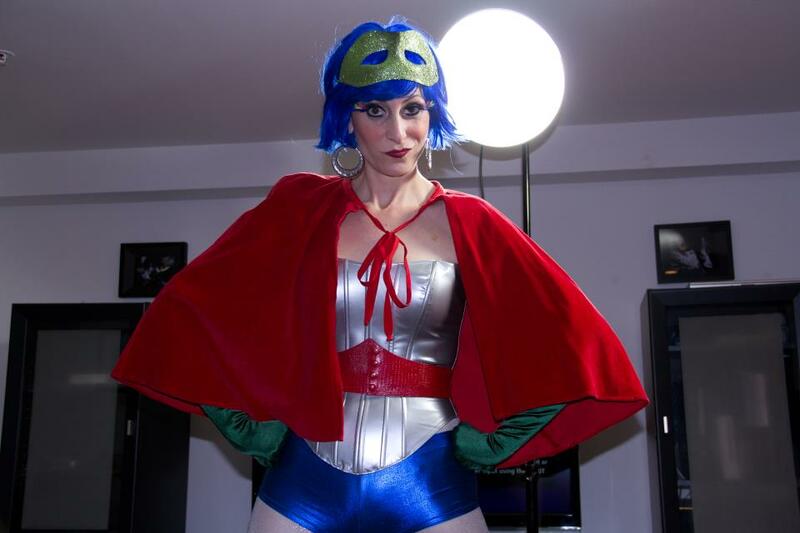 And last week we finished filming the last scene for our SF Heroes smart phone app ‘commercial’. The minute and a half video is intended to explain what the app does and why it is important in a fun and virally amusing way. We don’t want to spoil the story line for you, but suffice to say it’s funny and campy and we are really excited to see it hit the online social networks. SF Heroes is DEM’s smart phone app that leverages gamification to promote preparedness. One of our preparedness goals is that San Franciscans adopt preparedness behavior and talk about and demonstrate what they have done to be ready for an emergency with their family, friends, neighbors, and colleagues. SF Heroes is one tool that supports meeting this goal because users demonstrate using the app (and their accomplishments) on Facebook and Twitter—where their friends and followers can see their earned SF Heroes badges. Gamification is the use of game mechanics, feedback loops, and rewards that drive deeper engagement in non-games. Because SF Heroes allows you to earn points that ultimately become super hero badges, people can show their friends and followers on Facebook and Twitter when they have earned badges, which we hope will inspire—through healthy competition—the desire to also earn badges. We look forward to premiering the video on the DEM Blog, but as a teaser here are some videos of the shoot. So, stay tuned! 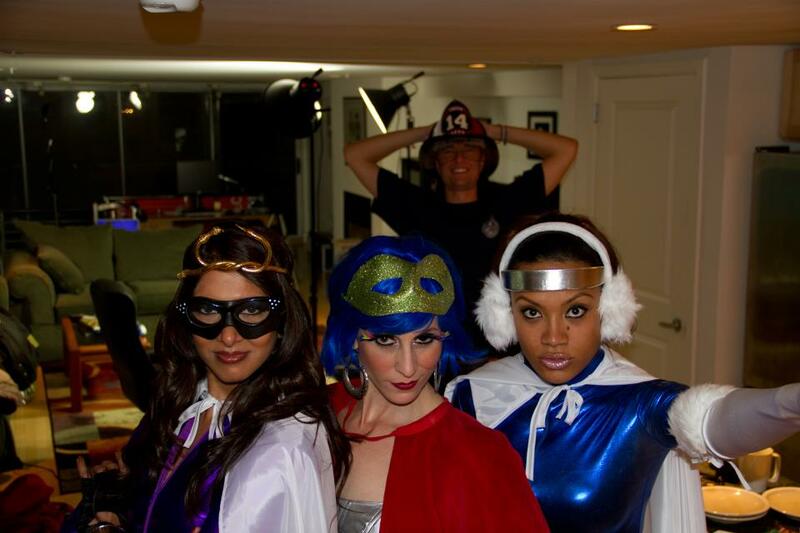 Thanks to all the REAL heroes, the firefighters of Station 18, for being such great sports and hosts! Thanks Cole Hardware for letting us film a scene in your Cole Valley store. And some more SF Heroes! 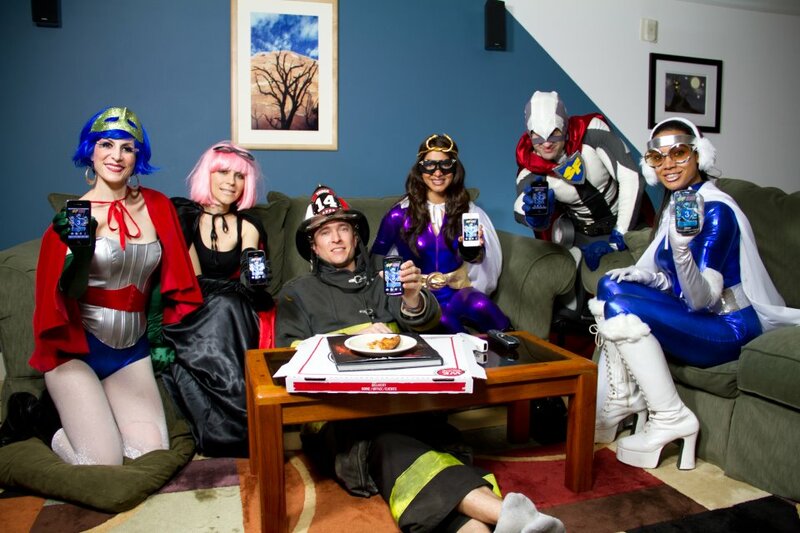 The entire cast of SF Heroes! 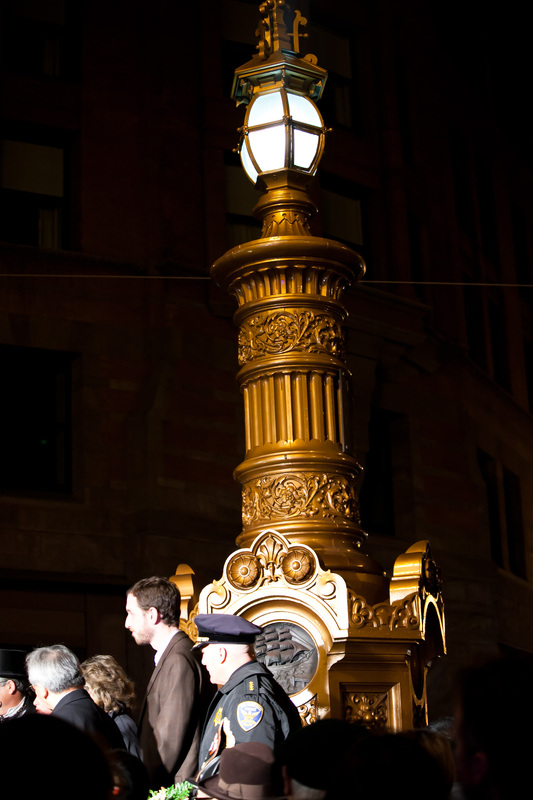 Lotta’s Fountain: the cast iron fountain served as a meeting point during the 1906 Earthquake and Fire aftermath. 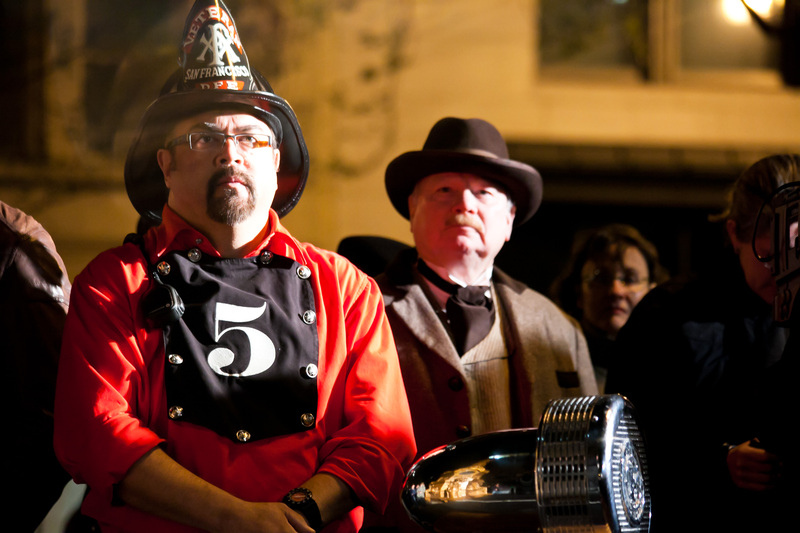 Participants in the San Francisco custom to dress in period attire to commemorate the 1906 San Francisco Earthquake and Fire. 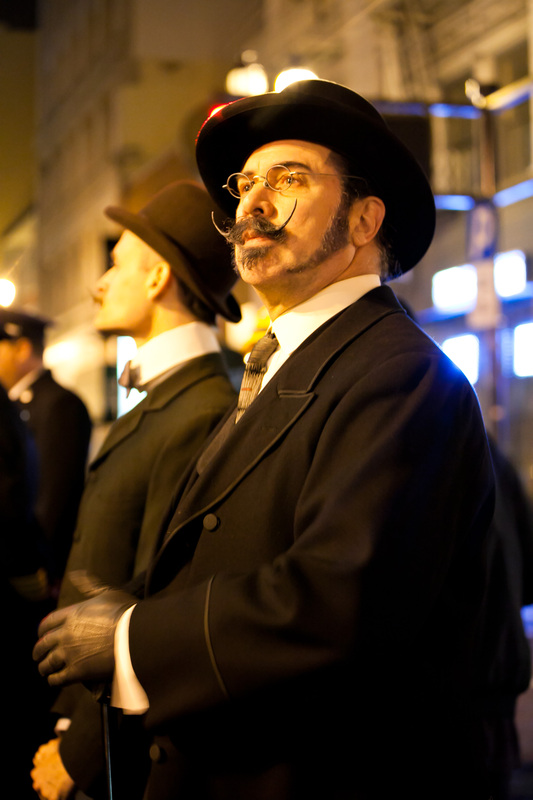 A participant in the San Francisco custom to dress in period attire to commemorate the 1906 San Francisco Earthquake and Fire. 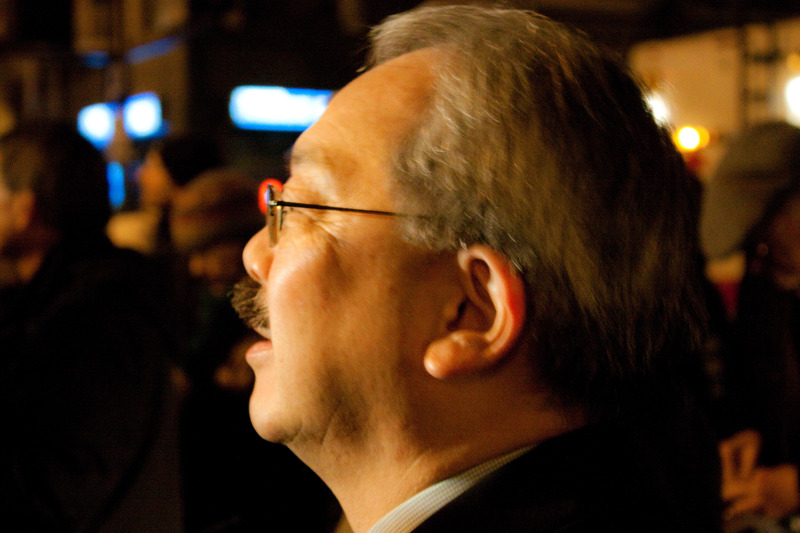 Mayor Lee observing a minute of silence at 5:12 a.m., when the earthquake struck 106 years ago. DEM participating in a minute of commemorative silence. 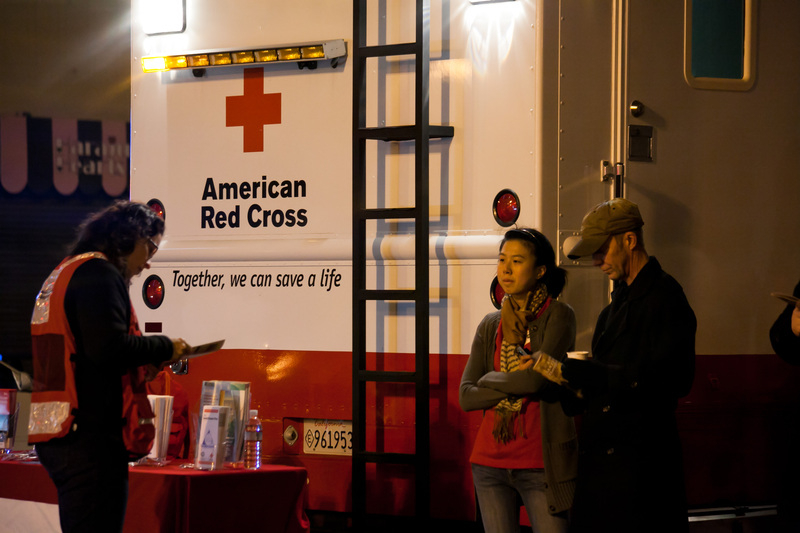 One of our partner in preparedness, response, and recovery, the Bay Area Red Cross who also provided coffee to participants in the the Lotta’s Fountain commemoration activities. 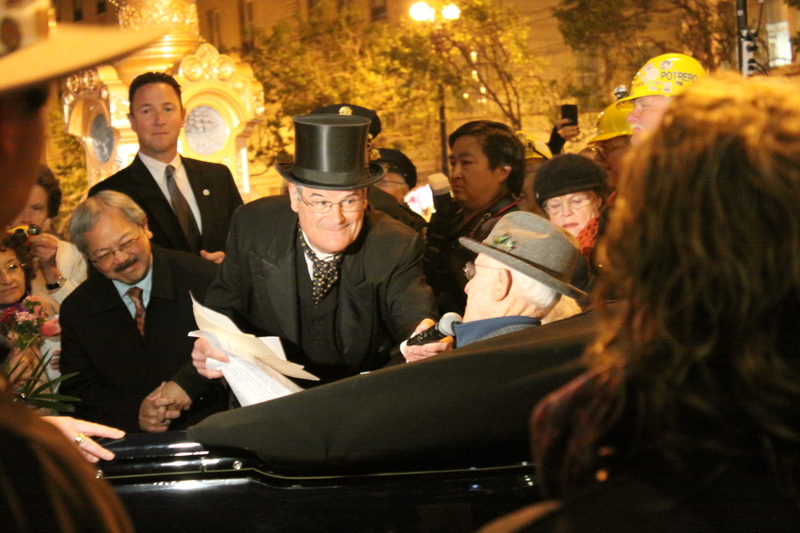 The Master of Ceremonies speaking with the 1906 Earthquake and Fire survivors. 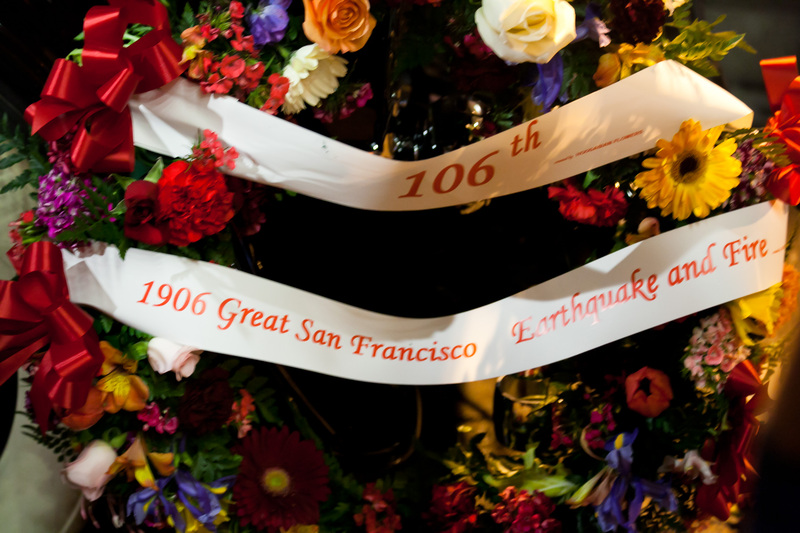 Honorary special guests of the Lotta’s Fountain Commemoration Ceremony and survivors of the 1906 San Francisco Earthquake and Fire. The wreath laid on Lotta’s Fountain by City Officials. A photo from 1906? No, but thanks to Instragram we think it looks like it could be. 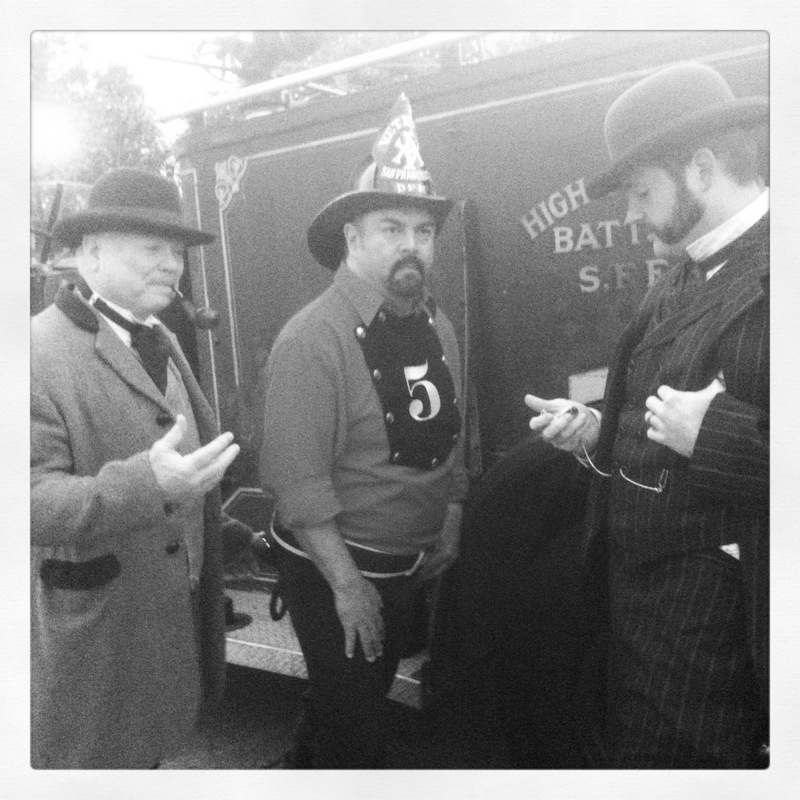 From left to right, DEM team members dressed and acting the part: Steve LaPlante, Dave Ebarle, and Lucas Eckroad. 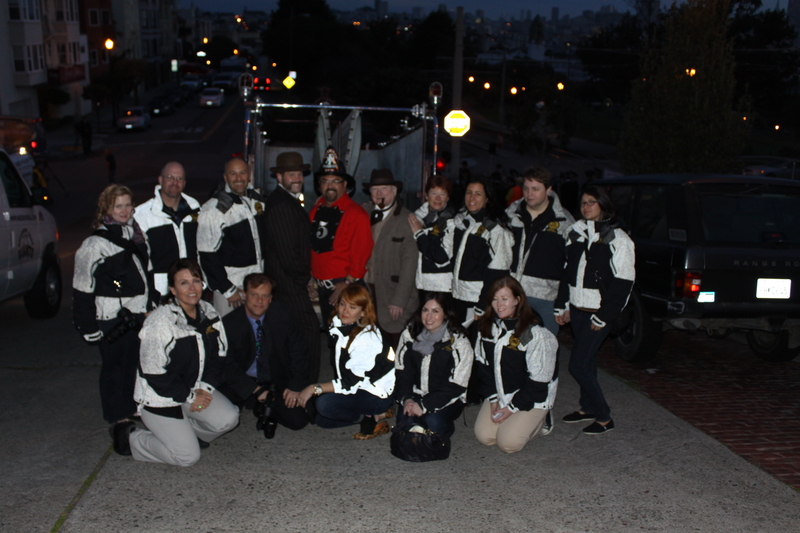 The DEM team all smiles shortly after the annual golden hydrant painting ceremony in Dolores Park.